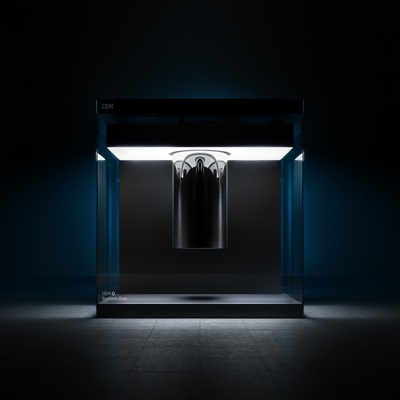 Yorktown Heights, N.Y., USA - January 8, 2019 - At the 2019 Consumer Electronics Show (CES), IBM (NYSE: IBM) today unveiled IBM Q System One the world's first integrated universal approximate quantum computing system designed for scientific and commercial use. IBM also announced plans to open its first IBM Q Quantum Computation Center for commercial clients in Poughkeepsie, New York in 2019. IBM Q is an industry first initiative to build universal quantum computers for business and science. At the 2019 Consumer Electronics Show (CES), IBM (NYSE: IBM) today unveiled IBM Q System One™, the world's first integrated universal approximate quantum computing system designed for scientific and commercial use. IBM also announced plans to open its first IBM Q Quantum Computation Center for commercial clients in Poughkeepsie, New York in 2019. 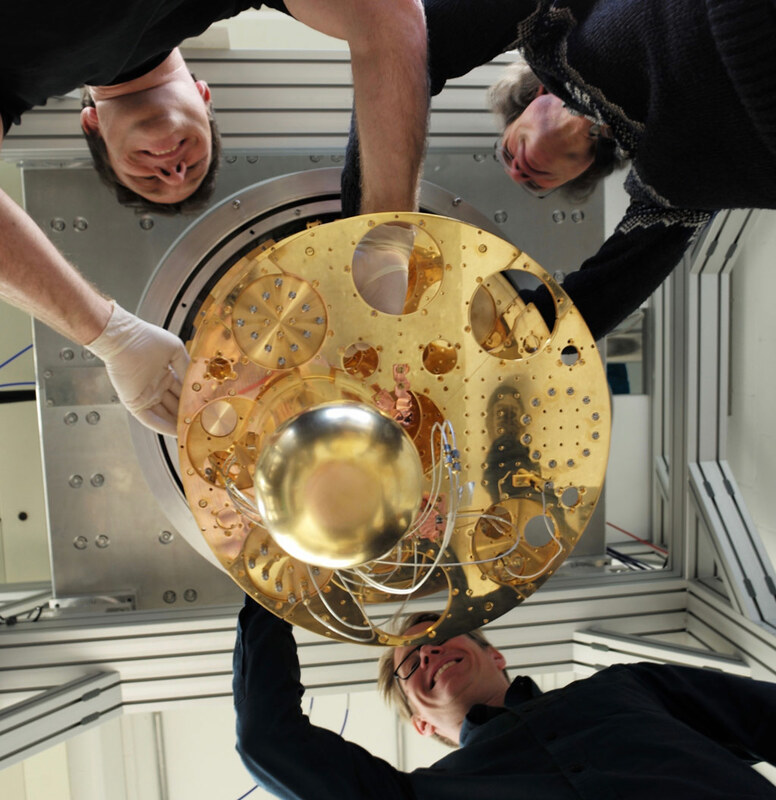 IBM Q System One addresses the challenge of stabilizing qubits by consolidating thousands of components into a glass-enclosed, air-tight environment. Designed by IBM scientists, systems engineers and industrial designers, IBM Q System One has a sophisticated, modular and compact design optimized for stability, reliability and continuous commercial use. For the first time ever, IBM Q System One enables universal approximate superconducting quantum computers to operate beyond the confines of the research lab. 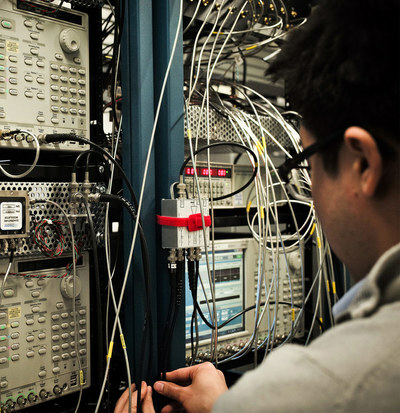 IBM Q System One enables universal approximate superconducting quantum computers to operate outside the research lab for the first time. It's a major step forward in the commercialization of quantum computing, which could one day enable breakthroughs in such areas as materials and drug discovery, financial services, and artificial intelligence. Much as classical computers combine multiple components into an integrated architecture optimized to work together, IBM is applying the same approach to quantum computing with the first integrated universal quantum computing system. • Classical computation to provide secure cloud access and hybrid execution of quantum algorithms. The IBM Q Quantum Computation Center opening later this year in Poughkeepsie, New York, will expand the IBM Q Network commercial quantum computing program, which already includes systems at the Thomas J. Watson Research Center in Yorktown, New York. This new center will house some of the world's most advanced cloud-based quantum computing systems, which will be accessible to members of the IBM Q Network, a worldwide community of leading Fortune 500 companies, startups, academic institutions, and national research labs working with IBM to advance quantum computing and explore practical applications for business and science. IBM Poughkeepsie's unique history in computing stretches back to the development of IBM's first line of production business computers in the 1950s, the IBM 700 series, and the IBM System/360 in the 1960s, which revolutionized the world by changing the way businesses thought about computer hardware. Now home to one of the world's most-powerful classical system, the IBM mainframe, IBM Poughkeepsie is positioned to be one of the few places in the world with the technical capabilities, infrastructure and expertise to run a quantum computation center, including access to high performance computing systems and a high availability data center needed to work alongside quantum computers. 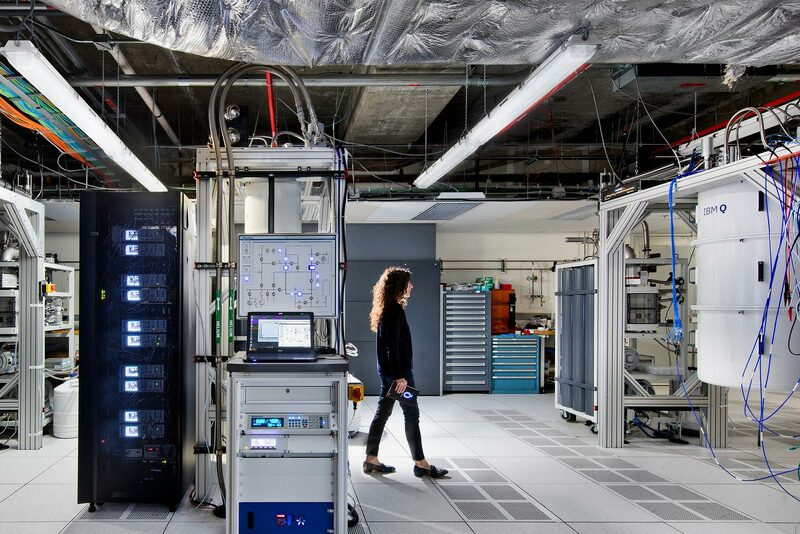 "The IBM Q System One is a major step forward in the commercialization of quantum computing," said Arvind Krishna, senior vice president of Hybrid Cloud and director of IBM Research. "This new system is critical in expanding quantum computing beyond the walls of the research lab as we work to develop practical quantum applications for business and science." IBM assembled a world-class team of industrial designers, architects, and manufacturers to work alongside IBM Research scientists and systems engineers to design IBM Q System One, including UK industrial and interior design studios Map Project Office and Universal Design Studio, and Goppion, a Milan-based manufacturer of high-end museum display cases that protect some of the world's most precious art including the Mona Lisa at the Louvre, and the Crown Jewels at the Tower of London. Together these collaborators designed the first quantum system to consolidate thousands of components into a glass-enclosed, air-tight environment built specifically for business use, a milestone in the evolution of commercial quantum computers. This integrated system aims to address one of the most challenging aspects of quantum computing: continuously maintaining the quality of qubits used to perform quantum computations. The System is tested for the first time over two weeks in Italy. The team assembled the system for mechanical testing at Goppion's headquarters in Milan over the course of two weeks in the summer of 2018. It ran like a NASA test launch, with the team testing maintenance, reliability, and performance. Powerful yet delicate, qubits quickly lose their special quantum properties, typically within 100 microseconds (for state-of-the-art superconducting qubits), due in part to the interconnected machinery's ambient noise of vibrations, temperature fluctuations, and electromagnetic waves. Protection from this interference is one of many reasons why quantum computers and their components require careful engineering and isolation. The design of IBM Q System One includes a nine-foot-tall, nine-foot-wide case of half-inch thick borosilicate glass forming a sealed, airtight enclosure that opens effortlessly using "roto-translation," a motor-driven rotation around two displaced axes engineered to simplify the system's maintenance and upgrade process while minimizing downtime – another innovative trait that makes the IBM Q System One suited to reliable commercial use. A series of independent aluminum and steel frames unify, but also decouple the system's cryostat, control electronics, and exterior casing, helping to avoid potential vibration interference that leads to "phase jitter" and qubit decoherence. A replica of IBM Q System One will be on display at CES. This new system marks the next evolution of IBM Q, the industry's first effort to introduce the public to programmable universal quantum computing through the cloud-based IBM Q Experience, and the commercial IBM Q Network platform for business and science applications. The free and publicly available IBM Q Experience has been continuously operating since May of 2016 and now boasts more than 100,000 users, who have run more than 6.7 million experiments and published more than 130 third-party research papers. The IBM Q Network includes the recent additions of Argonne National Laboratory, CERN, ExxonMobil, Fermilab, and Lawrence Berkeley National Laboratory. 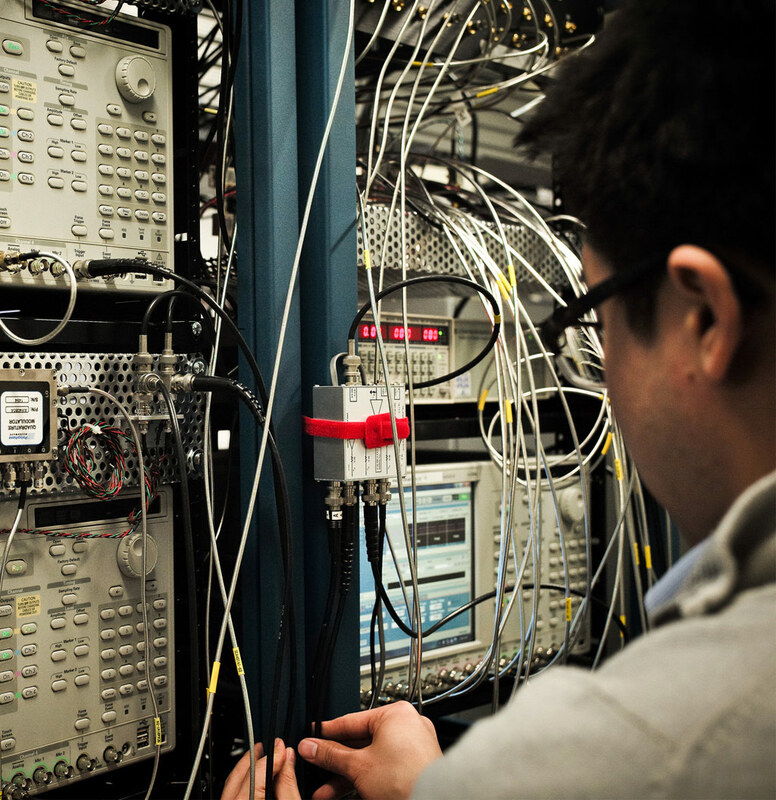 IBM has several real quantum devices and simulators available for use through the cloud. These devices are accessed and used through Qiskit, and open source quantum software development kit, and IBM Q Experience, which offers a virtual interface for coding a quantum computer. IBM Q is an industry-first initiative to build commercial universal quantum systems for business and science applications. Join our active and knowledgeable quantum community! Our Community forums are a great place to ask questions about the Quantum Composer, QISKit, and other IBM-Q resources.